what do you say we kick this new year off with some fresh scraps? i've prepared a lovely little set for all you crafotoholics out there, both the skilled and the clumsy! 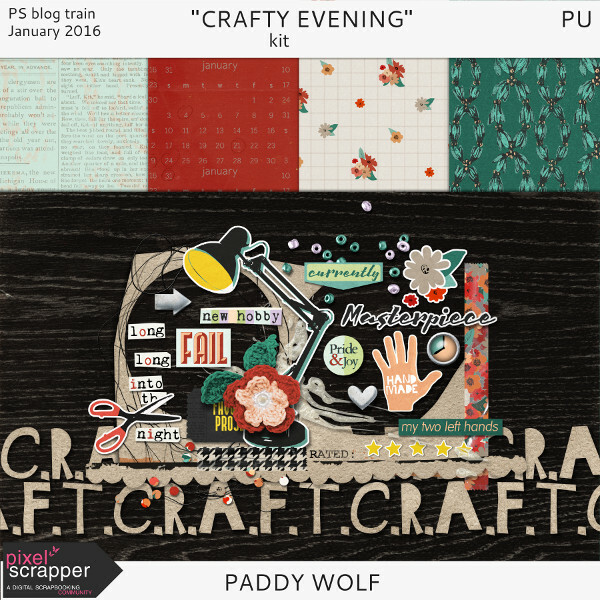 it's a classic mish mash of craft supplies and paper snippets portraying, well, basically, the mess. mess on the desk, floors and walls left after a good night of crafting! as a hobby enthusiast myself, i know how proud i get over a well made, finished project. and also how much i have to laugh over those less successful attemps! truth is, there's something genuinly rewarding about working with your hands. it just makes you feel good. so good, infact, that it's not enough to just create someting- you also want to show it off, brag a little and scrap about it! am i right? Thank you Miss Paddy! Craft cuteness! Thanks! It's awesome. Happy new year! Happy New Year and thanks for your train share! Love the color palette!!! The craft elements are beautiful!!! The papers are lovely!!! Thank you so much for sharing!!!! Thank you so much, Paddy! This is such a fun kit! Best wishes for the New Yea! You rocked it again, as always! I simply love your style of design. I'm especially diggin the lamp, "hand made", scissors, and "rated" pieces. Thanks for sharing your generous part with all of us! Love it! Especially love that sweet little flower paper.